When six Royal Military Policemen were killed at Majar al-Kabir on June 24th 2003 it made world headlines. 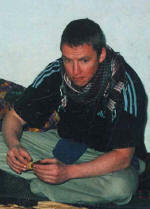 The heaviest combat loss since the 1991 Gulf War also marked the darkest day for British forces in Iraq. These most vulnerable of our troops died in a filthy storage room at the back of a police station, two months after the conflict officially ended; plunged into a calamity that now seems inevitable and pitiably unnecessary. Last Round is the story of six very different men, how they were blown together and how they died together, the conscientious commander Simon Hamilton-Jewell, the crafty Russ Aston, the charming Si Miller, the shy Tom Keys and the amusing Ben Hyde and Paul Long. Within 400 metres of where they perished members of 8 Platoon, 1 Para, fought the most brutal and bloody engagement by any British unit since the Falklands War. Contrary to media reports they neither ignored nor forgot about the RMP, they were simply unaware of their presence. But why? Three hours of human drama unfolded like a Greek tragedy. The RMP were virtual non-combatants, conciliators who under the flag of an occupying power came to assist the Iraqis who killed them. Last Round is a story of fear, brutality and heroism casting new light on a war which, deemed unjust by many, threatens heads of state on both sides of the Atlantic. "Now, journalist Mark Nicol has taken on the brave challenge of producing an unbiased, fair account of the events leading to, and the fallout from the tragic day. 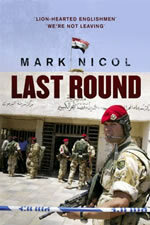 Nicol has used all the tricks of his trade to get the reader into Iraq and at the heart of the action. The story moves at a furious pace and is littered with intricate detail – some of which is not for the faint-hearted." "In describing the firefight, the author has used a lot of first-hand dialogue, which can give a sense of the tension and confusion that reigns in battle. Mark Nicol has combined a measured and analytical assessment with a fast-paced description of events to produce a thoroughly readable and thought-provoking account of this tragic episode." "The real strength of Last Round is that it lays out the facts of the day through meticulous research and even-handedness whilst at the same time, when it gets down to it, makes for a very exciting and compelling read."